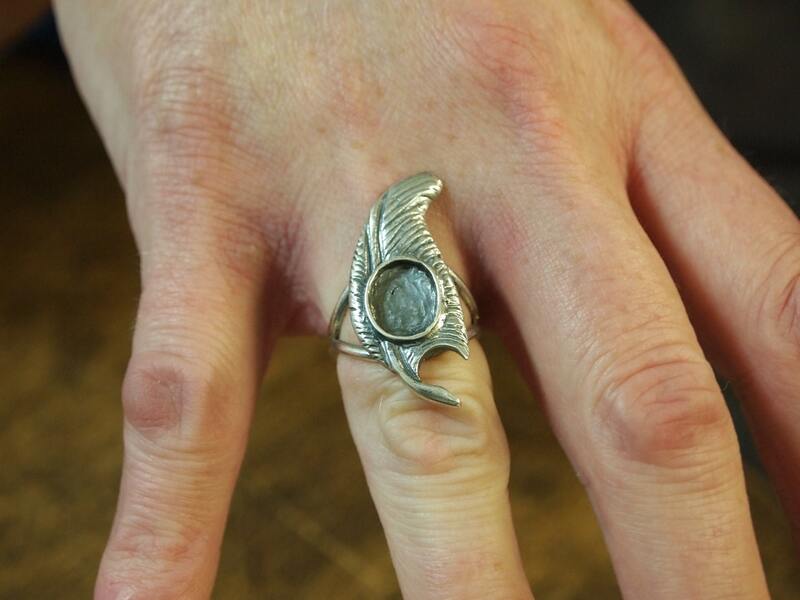 A new twist to one of my favorite pendants, this is a handmade .925 sterling silver ring made out of a feather of Ma-at pendant. 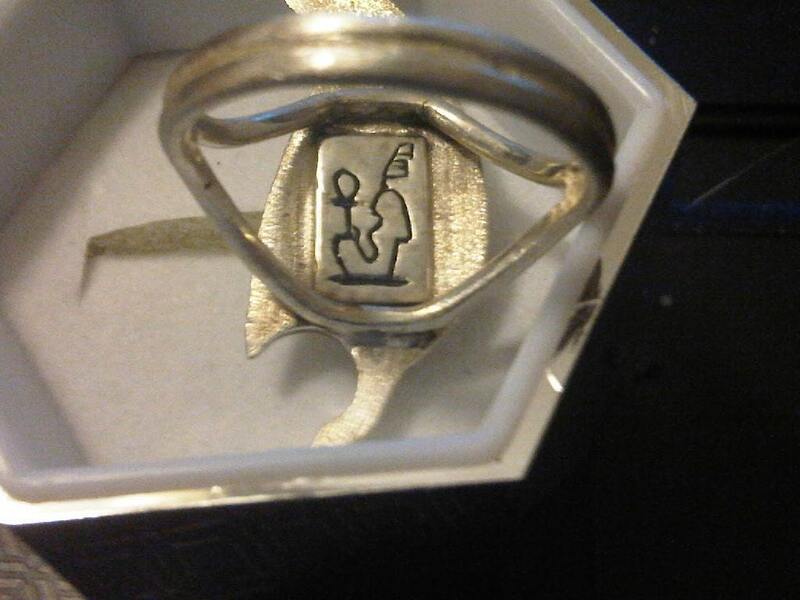 I create a shank for the ring in wax wire, creating a Y on each side of the pendant. The original hieroglyph for Ma-at is still visible on the back of the feather. 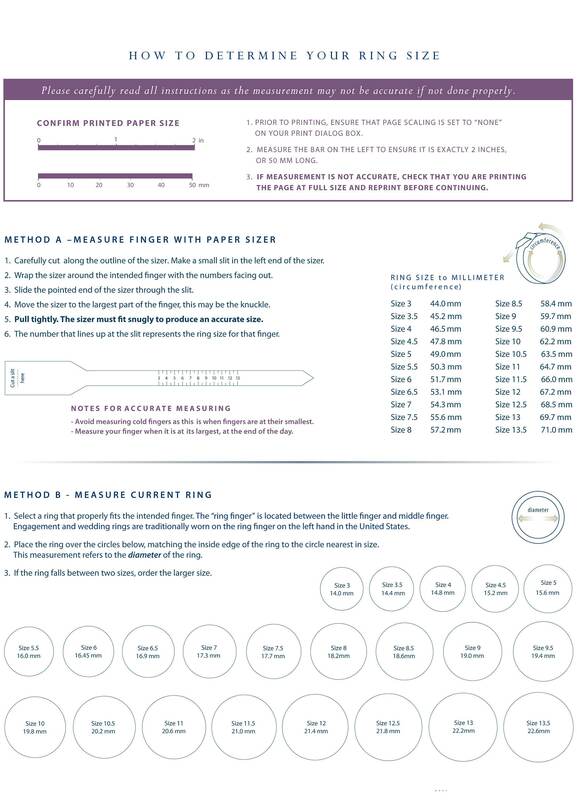 The ring size is a size 8, but can easily made to your specific size as I do them on order. The top is 1 1/4" long with a 10x8mm cabochon stone in the center, which various stones are available. 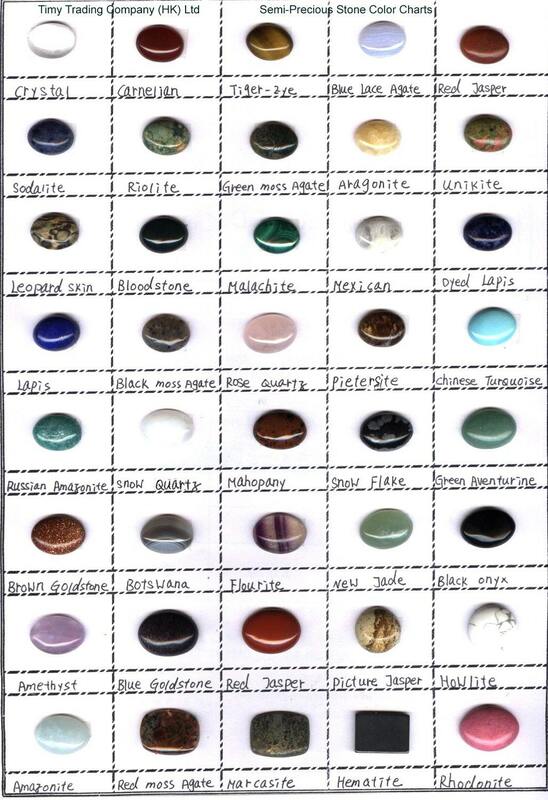 Please ask me what stone you would like, and I will tell you if there is an additional fee. 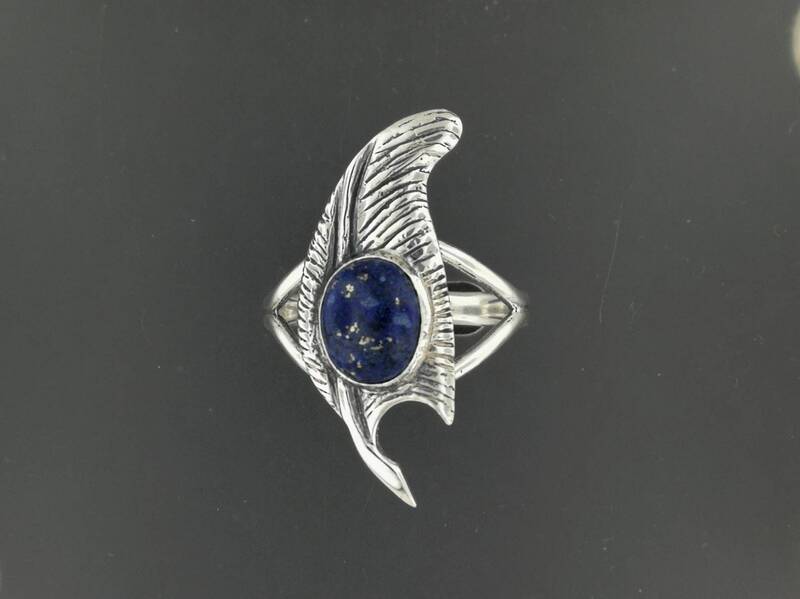 The pictures show an example of the ring in silver and lapis lazuli and with a carnelian from previous orders I've done. Maat or Ma'at refers to both the ancient Egyptian concepts of truth, balance, order, harmony, law, morality, and justice, and the personification of these concepts as a goddess regulating the stars, seasons, and the actions of both mortals and the deities, who set the order of the universe from chaos at the moment of creation. Her ideological opposite was Isfet, meaning injustice, chaos, violence or to do evil. Maat represents the ethical and moral principle that every Egyptian citizen was expected to follow throughout their daily lives. They were expected to act with honor and truth in manners that involve family, the community, the nation, the environment, and the gods. In the Duat, the Egyptian underworld, the hearts of the dead were said to be weighed against her single "Feather of Ma'at", symbolically representing the concept of Maat, in the Hall of Two Truths. This is why hearts were left in Egyptian mummies while their other organs were removed, as the heart (called "ib") was seen as part of the Egyptian soul. If the heart was found to be lighter or equal in weight to the feather of Maat, the deceased had led a virtuous life and would go on to Aaru. Osiris came to be seen as the guardian of the gates of Aaru after he became part of the Egyptian pantheon and displaced Anubis in the Ogdoad tradition. A heart which was unworthy was devoured by the goddess Ammit and its owner condemned to remain in the Duat. Looks wonderful, fits perfectly, came in a very sweet little box, would buy from again. Lovely ring! Love the pendant also. Waiting for earrings (hint) so I can have the whole set.